This expansive view of Mars surrounding the Mars Exploration Rover Opportunity was the first 360 degree, high-resolution color image taken by the rover´s panoramic camera. 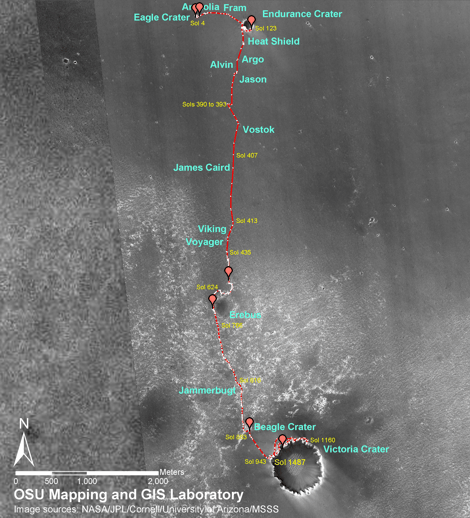 The airbag marks seen in the soil trace the route by which Opportunity rolled to her final resting spot inside a small crater at Meridiani Planum. This image mosaic consists of 225 individual frames.